Romney and Paul Ryan have been making this part of their regular stump pitch. It has also been the subject of three different ads in heavy rotation for the campaign, the latest of which went up on the air yesterday. And it is utterly, totally false, as any number of fact-checkers have established. In response to requests from a handful of states, including from several governed by Republicans, the Obama administration recently tweaked the rules to allow greater flexibility in how states implement the work requirement in welfare—with the proviso that the states’ strategies result in work participation rates 20 percent higher than the status quo. There are good-faith debates over whether the tweak is good policy, but there is no question that what Romney is saying about Obama “taking the work requirement out of welfare” is knowingly false. Yet Romney simply kept saying it. (Adding a further misleading twist, Romney’s latest ad cites as its source the conservative editorial page of the Richmond Times-Dispatch—a paper whose news pages have been among the many to declare the attack mendacious.) And why not? The campaign obviously has reason to believe the attack is working—it’s presumably particularly effective with white working-class voters such as those miners in Ohio, several of whom told me afterward they were outraged that Obama was doing away with the work requirement. This, then, was my plea: for the mainstream political press to do address this concerted, repeated effort to mislead voters, to not simply leave it to a few fact-checkers to declare the attack false but to hold the campaign to account in a way that gets real notice. The plea prompted a few sharp follow-ups by Garance Franke-Ruta and James Fallows, among others, elaborating on how the press should handle situations like this. But as far as I could tell, there was nothing from the regular campaign media pack. “I’ve been looking for a week-and-a-half to try to figure out the basis of this welfare reform ad, I’ve scoured the Wall Street Journal editorial pages, I’ve scoured.... the ad’s completely false. It’s just completely false. 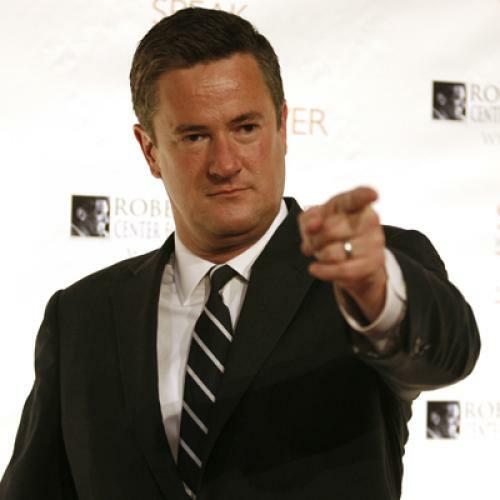 Scarborough gets a lot of flack for being a mouthpiece for a certain brand of Acela-line conventional wisdom, as when he piled on behind Cory Booker and Bill Clinton in ridiculing the Obama campaign’s Bain Capital attacks. But in this case, he did the basic job of a journalist: he looked into whether someone was telling the truth, found that they weren’t, and said so, clearly. So, to the rest of the pack, I ask: what’s stopping you?